Tooth loss is a serious issue. In addition to affecting your abilities to bite and chew, tooth loss impacts your speech and the quality of your smile. Below your gum line, tooth loss also impacts the health of your jawbone, causing bone loss. Over time, the bone weakens and changes shape, affecting the teeth around the empty space as well as your facial shape. Replacing missing teeth is essential for restoring the functions of your missing teeth and your quality of life. 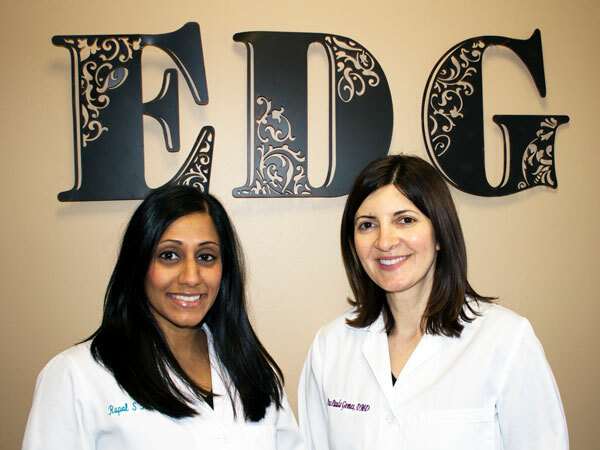 The Elmwood Dental Group LLC can replace missing teeth with dental implants. Dental implants are a treatment for replacing missing teeth. With this treatment, small titanium posts are surgically placed into your jawbone. Your bone then fuses to the posts as you heal, integrating them into the bone. They essentially become replacement roots that are used to provide support for the ceramic crowns that act as your replacement teeth. Dental implants are incredibly versatile. No matter if you are missing a single tooth or many teeth, there are dental implants to meet some different needs. • Single tooth implants. With this treatment, a single post and crown are used to replace an individual tooth. • Multiple teeth implants. A multiple teeth implant replaces two or more consecutive missing teeth. The exact number of posts you need to support your teeth depends upon a few different factors, including how many teeth are being replaced. • Full arch restorations. A full arch restoration replaces an entire arch of missing teeth. This treatment typically requires 6 to 8 posts to replace your missing teeth. If you are missing too much bone mass in your jaw, however, you may be a candidate for All on 4. This treatment uses only four posts to replace your missing teeth, avoiding the need for a bone graft. • Completely natural feel and functioning. • Greater comfort. Your teeth are supported by the posts in your jawbone, instead of your gums or your adjacent teeth. • Easy to care for. You can brush and floss your replacement teeth exactly like your natural teeth. • Restoring the stimulation to your jawbone. This stops, and prevents, bone loss in your jaw. To get dental implants, surgery is required. This procedure is done under a local anesthetic, ensuring you do not feel any pain. Sedation may also be provided to keep you feeling calm and relaxed. We begin surgery with small incisions in your gums. Next, holes are drilled into the bone, according to your treatment plan. Finally, the implants are placed inside, and your gums are sutured closed around them, leaving a small amount exposed above the tissue. Temporary teeth are set into place while you heal. Healing after implant surgery can take a few weeks to several months. As you heal, your bone fuses to the posts, turning them into strong, stable roots. Once you have fully healed, impressions are taken of your mouth, and your final dental restorations are created. When they are ready, they are secured into place on the posts with small screws. 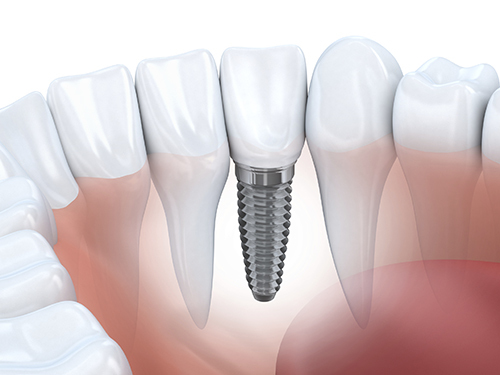 With dental implants, we can provide you with a long-lasting solution for your tooth replacement needs. For more information about dental implant rehabilitation, or for your no obligation consultation, please call us today at (860) 331-8748.